I had a lot of fun (which is obviously my m.o.) testing the Joy Jacket pattern by Chalk and Notch and I'm excited to share my experience with you. It's actually the same material Emily had been saving to use for this jacket. I was pretty nervous cutting into it, especially as an early phase tester, but I also had a lot of confidence in Gabriela's pattern. View B features a hood and angled pockets, but you can certainly use either pocket with either view. There's also optional drawstrings for the hood or collar as well as at the hem. My first version is unlined, except the hood. 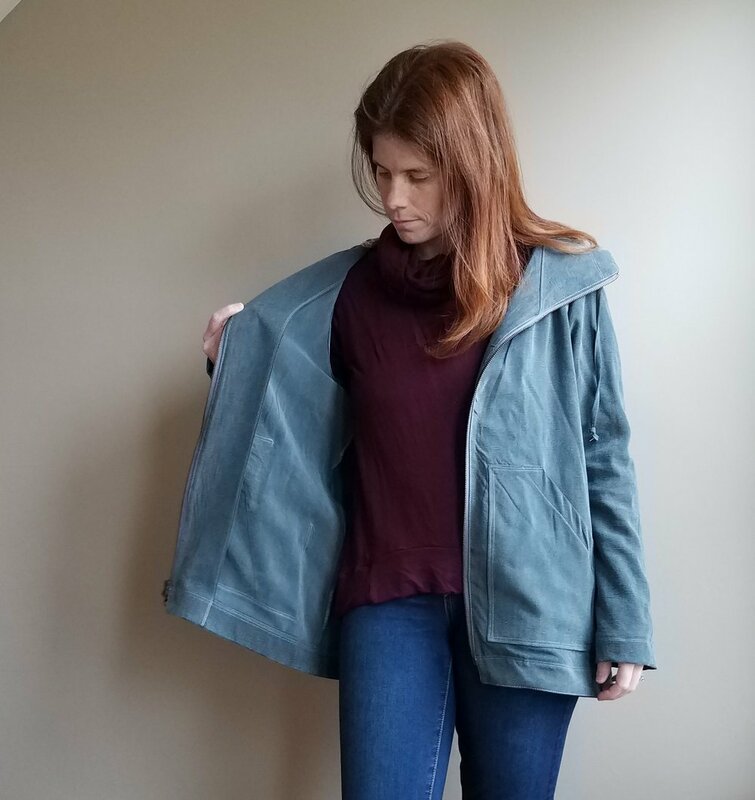 The pattern is written for making a fully-lined jacket, but Gabriela is planning a blog post about the simple changes to make when sewing Joy without a lining. 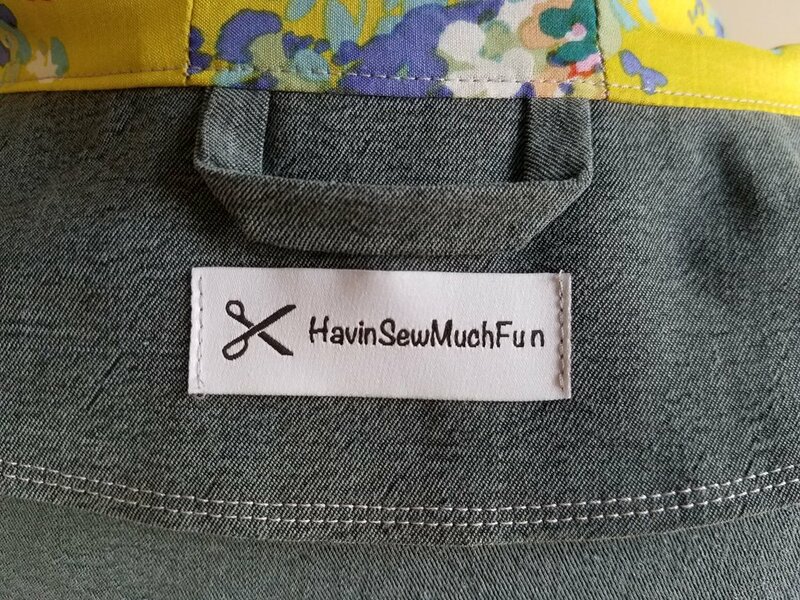 There's great seam lines which are an opportunity to play with top stitching. And it is so easy to wear. Gabriela's patterns are drafted for a height of 5'7", so while I'm about 5'5", I didn't shorten the jacket bodice, only the sleeves 1-1.5". I just had to sew the other view of Joy as well. For my second version I used the black tencel twill offered by La Mercerie. This material is absolutely soft, luscious, and drapey, making it a great option for Joy. There's a generous 3/4" seam allowance on the seam between the front and back sleeve pieces to allow for shoulder shaping. 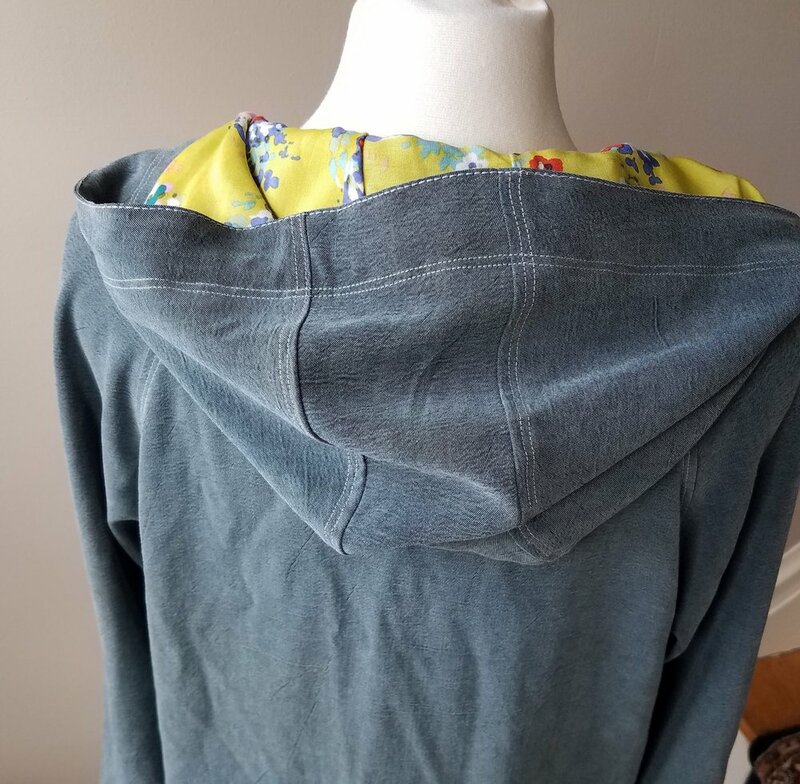 I used 2-way jacket zippers on both my samples since A) I'm shorter than the height the jacket is drafted for and liked the length of my muslin and B) I like being able to keep the jacket zipped up on top without it pulling or bunching when seated. What's really great about Joy is that while it's a stylish jacket with great details, it won't literally take you years to sew one for yourself (as I've heard some anoraks take that long to make). 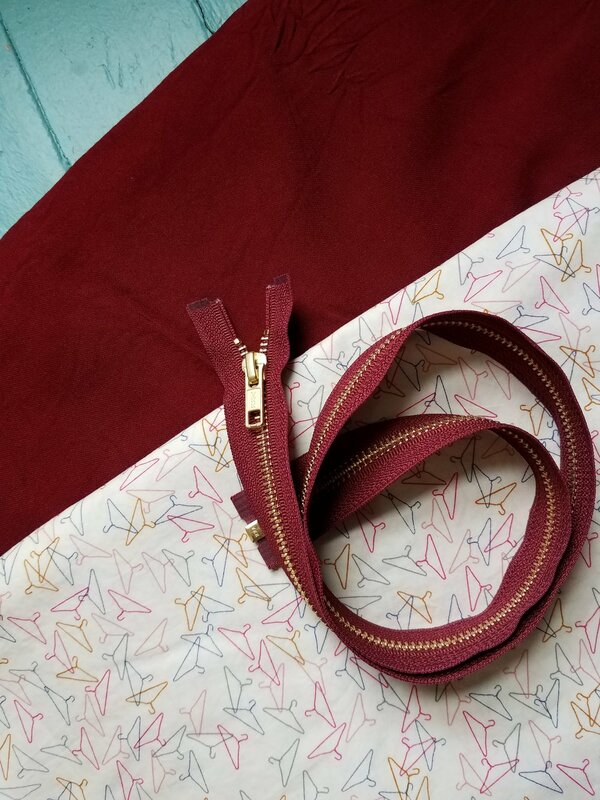 I've got a copy of the Joy Jacket pattern to give away and because I ended up with several zippers (having ordered from multiple sites in order to get them on time for the testing deadline), I'm adding 2 zippers to the prize! These zippers are 28 inches, the length recommended for sizes 8-18.